An unidentified young man wearing an earphone, was on Wednesday killed by a passenger train at Cappa area of Oshodi, Lagos. A Correspondent of the News Agency of Nigeria (NAN) who was inside the train reports that the man was standing on the rail track oblivious of the fast approaching train. 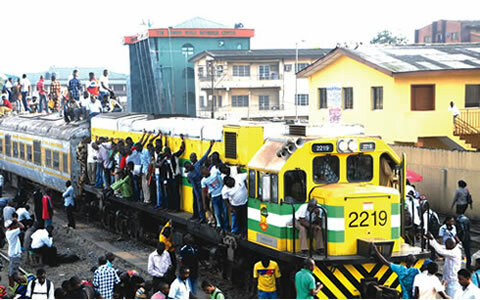 The NAN correspondent reports that the Ogun-Lagos-bound mass transit train was leaving its Oshodi station to Mushin when the accident occurred. NAN reports that people standing by the rail track that saw the incident raised their hands over their heads in a show of pity for the deceased. “The man has suddenly and unwittingly lost his life to sheer carelessness”, a passenger said. NAN reports that it was not the first time a moving train would crush to death people standing on the rail track because of having their earphones on.